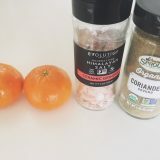 As per usual there has been a lot going on since the last blog. But for the most part I’m going to focus on the beers that are being trialled at the moment. It’s really exciting to see all these beers that I’ve been talking about going from concept to glass. Currently I’ve got a long list of brews and concepts that are going to be trialled before we get into the big houseand I’ve an even bigger list that’s going to be produced once we’re in there. So! Before we get into the darker beers that are being worked on I thought I’d talk about our Mandarin Gose that’s cold crashing at the moment in FV2. Soured beers can be really interesting and for my palate (if the PH is correct) can be really enjoyable. 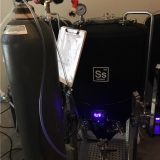 Before I brewed this beer I gathered a bunch of Goses that are out on the market and put them to the test with our PH meter. It turns out that after much tasting and testing that 3.3-3.4 PH seems just about right for me. First and foremost this is a kettle sour so there’s no risk of getting lactobacillus into the FVs etc (safety first!!). As per the style guidelines there’s a slight dose of coriander and sea salt in this beer. As well as a very healthy dose of mandarins… of course! The malt bill is pretty straight forward with just some ale malt and wheat being used. The hop charge is also really conservative… just a little touch of Mandarina Bavaria. This is an iteration of a beer I’ve done before and I’m really excited for the outcome! As always with a beer that’s addition forward it’s important (at least for my brewing style) to have a base beer that can not only support those additions but one that can stand on its own as a solid beer. With that in mind I’ve gone for a fairly robust malt base that’s going to provide the silky and chocolate mouth feel I’m looking for. The stars of the show are the Pistachio and Vanilla… given the right amount of contact time and dosing rate with these two and the outcome is pretty awesome! This beer is a beer I picked up an award for at The World Beer Awards and at The International Beer Challenge last year under the guise of my side project, Storm Crow Brewing. Coconut as a raw ingredient tends not to lend its flavor and aroma to beer unless LOTS of it is used. That’s exactly what we’re going to do! 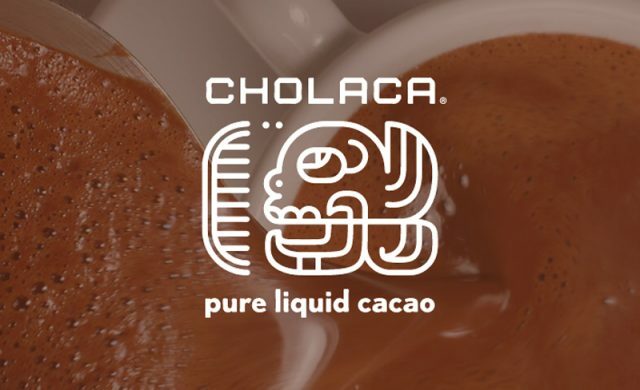 Along with the toasted coconut we’re using an amazing liquid cocoa provided by the fine folks at Cholaca. Cholaca is a solid alternative to Cocoa Nibs and in my opinion a much better one too. It can be added post fermentation which gives the brewer lots of stability and peace of mind!! This brings me to the FOSTERING part of the blog! I’ve always loved dogs ever since I was a kid and I’ve been lucky enough to work with them for a period of time… as a job and through volunteering. So! For the past few weeks I’ve been looking to do things to be a part of the community and to meet new people. I came across the Royal Animal Refuge online and decided to volunteer. 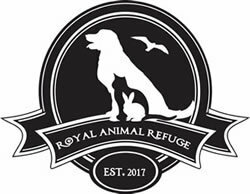 It’s really important to point out that the Royal Animal Refuge is a no kill shelter and they do some amazing work there with the help of the public. 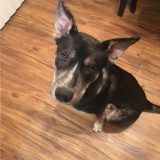 After meeting the guys that work there a couple of times they asked me would I consider fostering a dog that was “shutting down” at the refuge. After a couple of introductory walks with Lucy, Buddy has decided to join us for awhile till he gets himself back to health. 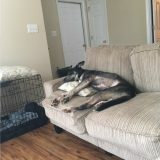 Buddy is due for surgery quite soon on one of his hind legs… it looks like he may have been hit by a car at some point. Even though he’s only 1 years old and has been through a lot, he’s an amazing dog! I’ve interacted with a lot of dogs over the years and he’s really high up there. Dogs are incerdibly resiliant! He’s been with Lucy and I now for over a week and is on an organic home cooked diet, two to three walks a day and is thriving. All of course with the support of the amazing people at Royal Animal Refuge. Check the guys out on Facebook and on Google and lend a hand if you can. What great additions to your bet repertoire and what a great couch addition, too!! This is Brian from the Pizza place around the corner! I am no longer with them. I was wondering if you’re planning on having a pilsner as part of he lineup. Nowadays is almost impossible to find good local pilsners. Hope things are progressing smoothly for y’all. Doggies are also welcome at Newnan’s Abide Brewery too! I am happy to hear this. Facility is awesome, beer isn’t good unfortunately. I’ve been brewing for over 25 years and know good beer. You should have dialed in your process before opening up. Hope the beer gets better.